What is Proofreading & Editing? What is the Structure Check? What is the Clarity Check? Generate your APA citations for free! Date published April 18, 2019 by Shona McCombes. The research question is one of the most important parts of your research project, thesis or dissertation. It’s important to spend some time assessing and refining your question before you get started. The exact form of your question will depend on on the length of your project, the type of research, the topic, and the research problem. But all research questions should be focused, specific, appropriately complex, and relevant to a social or scholarly issue. Once you’ve read our guide on how to write a research question, use these examples to work out if your question is strong enough. What effect does social media have on people’s minds? What effect does daily use of Twitter have on the attention span of under-16s? The first question is not specific enough: what type of social media? Which people? What kind of effects? The second question defines its concepts more clearly. It is researchable through qualitative and quantitative data collection. Why is there a housing crisis in the Netherlands? What impact have university internationalisation policies had on the availability and affordability of housing in the Netherlands? Starting with “why” often means that your question is not focused enough: there are too many possible answers and no clear starting point for research. By targeting just one aspect of the problem and using more specific terms, the second question offers a clear path to finding an answer. Does the US or the UK have a better healthcare system? How do the US and the UK compare in health outcomes and patient satisfaction among low-income people with chronic illnesses? The first question is too broad and overly subjective: there’s no clear criteria for what counts as “better”. The second question is much more researchable. It uses clearly defined terms and narrows its focus to a specific population. What should political parties do about low voter turnout in region X? What are the most effective communication strategies for increasing voter turnout among under-30s in region X? It is generally not feasible for academic research to answer broad questions about “what should be done”. The second question is more specific, and aims to gain an understanding of possible solutions in order to make informed recommendations. Has there been an increase in homelessness in San Francisco in the past ten years? How have economic, political and social factors affected patterns of homelessness in San Francisco over the past ten years? The first question is too simple: it can be answered with a simple yes or no. The second question is more complex, requiring in-depth investigation and the development of an original argument. What factors led to women gaining the right to vote in the UK in 1918? How did Irish women perceive and relate to the British women’s suffrage movement? The first question is too broad and not very original. It has been extensively researched by historians, and it would be very difficult to contribute new knowledge. The second question identifies an underexplored aspect of the topic that requires investigation and discussion of various primary and secondary sources to answer. How can sexual health services and LGBT support services in district X be improved? How can sexual health clinics in district X develop their services and communications to be more LGBT-inclusive? The first question is not focused enough: it tries to address two different practical problems (the quality of sexual health services and LGBT support services). Even though the two issues are related, it’s not clear how the research will bring them together. The second integrates the two problems into one focused, specific question. Where do the majority of immigrants to Germany come from? What are the similarities and differences in the experiences of recent Turkish, Polish and Syrian immigrants in Berlin? The first question is too simple, asking for a straightforward fact that can be easily found online. The second is a more complex comparative question that requires data collection and detailed discussion to answer. How is race represented in Shakespeare’s Othello? How have modern adaptations of Shakespeare’s Othello dealt with the theme of racism through casting, staging and allusion to contemporary events? The first question is not original or relevant — it has been answered so many times that it would be very difficult to contribute anything new. The second question takes a specific angle with scope to make an original argument, and has more relevance to current social concerns and debates. How can drunk driving be prevented? What effect do different legal approaches have on the number of people who drive after drinking in European countries? The first question asks for a ready-made solution, and is not focused or researchable. The second question is a clearer comparative question, but note that it may not be practically feasible. For a smaller research project or thesis, it could be narrowed down further to focus on the effectiveness of drunk driving laws in just one or two countries. Are you on track with your postgraduate research? 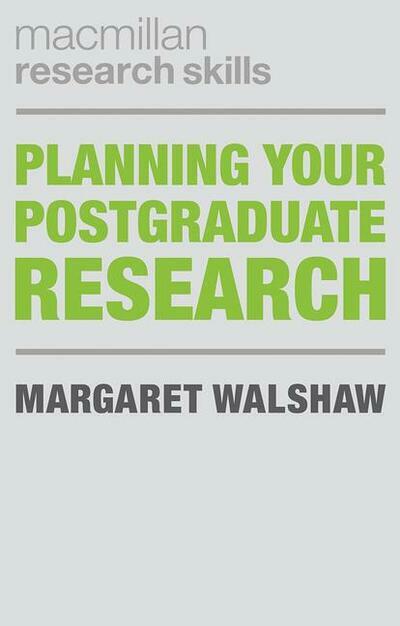 Scribbr recommends reading the book Planning Your Postgraduate Research by Margaret Walshaw. Shona has an MLitt in English Literature and an MA in Gender Studies, so she's an expert at writing a great master's thesis. She has also been an editor and teacher, working with students at all different levels to improve their academic writing. Research questions give your project a clear focus. They should be specific and feasible, but complex enough to merit a detailed answer. Start with a broad area of interest, and then narrow down your ideas. Make sure to consider the relevance and plausibility of your topic. Hypotheses are helpful if your dissertation involves determining whether a specific prediction about the relationship between variables is correct. Comment kindly help me with a research question . I'm a students of Business Studies, undergraduate. Unfortunately, I can not help you with your research question with only such few information. If you contact us via mail or chat we will try to help you out. I want you to help me write a research question as a maths student. I attend Valley view university (techiman campus Ghana). Thanks for your comment! I'm not sure if we can help you with this, but I'd gladly give it a try! If you contact us via our chat, I or one of my colleagues would be happy to try to help you. Comment or ask a question.